Best Dog Training Naperville. Aurora, Wheaton IL, Chicago, Central DuPage and Kane Counties! 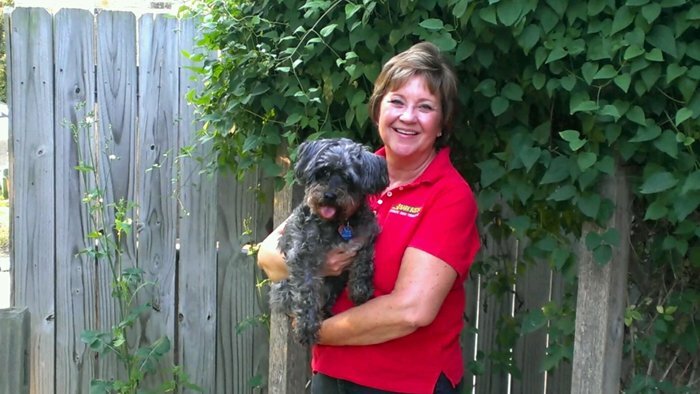 Sometimes when talking to owner inquiring about Bark Buster’s training, they will describe their dog’s behavior. It could be about aggression, biting, ignoring, jumping or even barking. They usually then ask if I have dealt with this behavior before or with the breed of their dog. I explain, after being a trainer with Bark Buster’s for 12 years, I believe I have seen most every behavior and have worked with most breeds. From Chiweenies to Great Danes! That also includes any age of dog or human. Over the years my territory has grown to include the Downer’s Grove and Lisle area west to Aurora and north to Elgin covering central DuPage and Kane counties. I acquired Master Trainer status and have trained over 1000 dogs. Take our Behavior Quiz and fetch your trainer!